Given the limited number of training sessions, the key to success with this program is to ensure you get in each session (i.e. each swimbikerun session is critical). I have tried to space the workouts throughout the week to allow sufficient recovery between sessions, but if "life happens" and the training schedule needs to be adjusted - you may do so. Run in Z2 for the duration specified. To work on your pedaling efficiency via spin-ups as well as your aerobic endurance. * Spin-Up: In a low (easy) gear, gradually increase cadence to maximum. Do NOT bounce. If you start to bounce, slow your cadence until you bounce no longer (this is your "maximum" cadence). Aim for 100 - 120 rpm and focus on relaxation of the lower legs, feet and toes. To work on your muscular endurance and aerobic endurance. 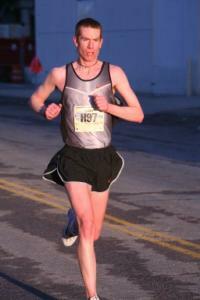 Train your Aerobic Endurance pace to work on endurance and pacing. NOTE: Final Bike Gear check - make sure everything looks/feels/operates good.